Last up for my Eastern Conference 2019 MLS preseason preview is the Montreal Impact. 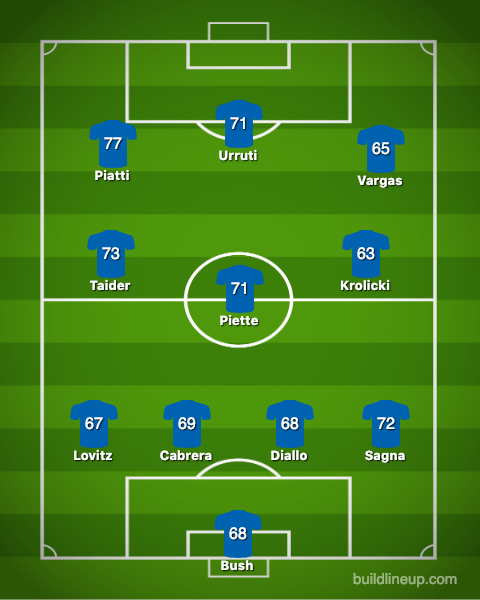 A team that comes in as the last team out of the MLS Cup 2018 Playoffs. Montreal has become a team of missing parts and outstanding performers. Ignacio Piatti is the type of player that will keep this team in any game. His talent is at the top of MLS. What's unfortunate for the Impact this offseason is the right-hand side of the midfield. There's nothing there. I was struggling to fill out their starting eleven. Ken Krolicki and Jeisson Vargas don't appear to have enough to fill this critical hole. Montreal is a tough sell for players with options, which I think leads to the uneven results we see from this team over the years. They seem to have the talent identification down. It's just getting them in and motivated. Montreal's backline is pretty okay. At second glance, talent is all over this team. They just have to fix a couple spots in the midfield. A competitive team, this will be - but also middle of the pack, will they be.